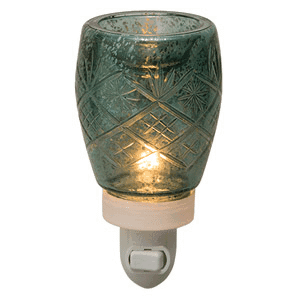 Vintage glass scentsy -Light the way with this crafted in smoky glass that is hand cut. Vintage Flair for any decor. Vintage glass scentsy -Add a touch of nostalgia to your space with a smoky hand-cut glass pattern. Just plug it in to the wall and your kitchen or restroom will smell amazing.